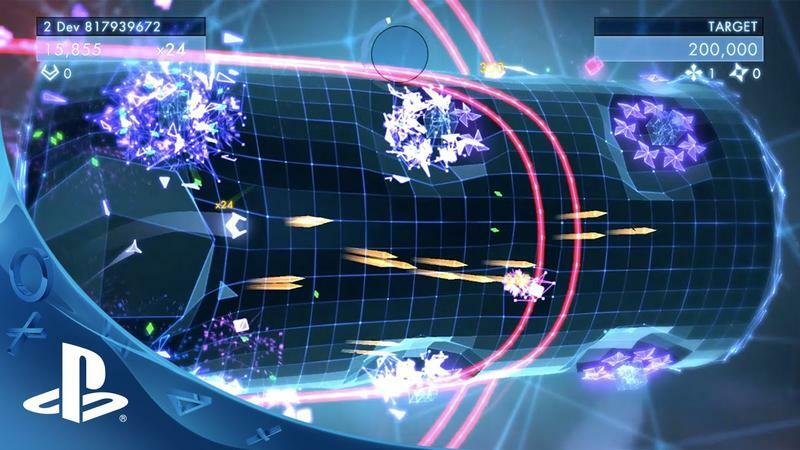 Not only is Geometry Wars 3: Dimensions set to release this fall, it's set to appear on the PlayStation 3 and 4 in addition to the other, previously announced platforms. The game maintains the core mechanical concept of the series – frantic twin-stick shooting – as well as many of the visual hallmarks as you can see in the video above. The team at Lucid Games, though, is adding a bunch of other stuff into the game in hopes of giving it a longer tail for those of us not quite as enthralled by the straightforward arcade experience of the previous titles. The single player game has a progression system, as well as boss fights. Additionally, you're not just battling the onslaught of shapes against a flat grid. The grid now wraps around any variety of shapes from a twisted flat surface to a peanut shape to a sphere – that last one feeling especially reminiscent of Super Stardust HD from Housemarque. There's also 4-on-4 competitive multiplayer on tap if you're looking to test your skills against other players. There isn't a solid release date for the game yet, but we can still look forward to it hitting PC, PlayStation 3, PlayStation 4, Xbox 360 and Xbox One this fall. Check that: Geometry Wars 3: Dimensions will hit the PlayStation 4, PlayStation 3 and PC on November 25th, and it's slated to hit the Xbox One and Xbox 360 on November 26th.